Asking for help may seem like an easy thing to do, but it can be difficult as well. In fact, for children with autism, this seemingly simple task can be stressful. 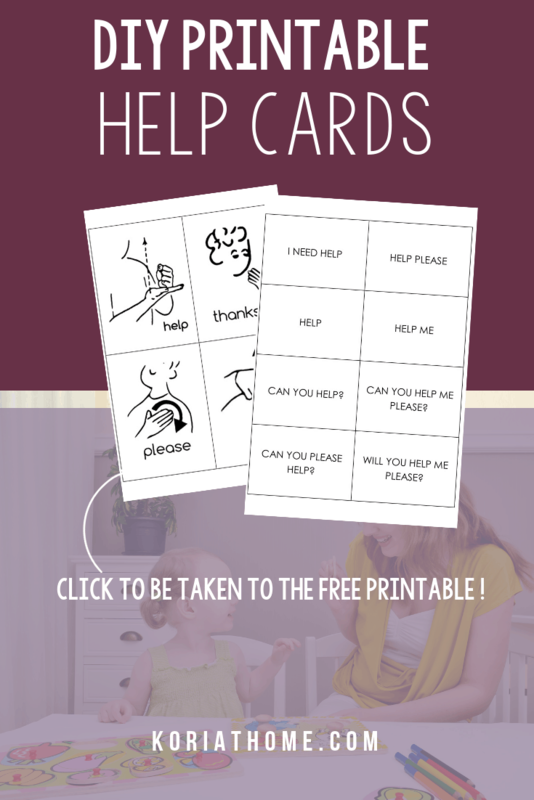 Ease some of the stress with these free printable autism help cards. And be sure to check out all of the free printables for autistic children and their caregivers. My daughter has a communication device that she uses at school and prior to that, she was using PECS. But, before she started using any of that, we were using sign language. In fact, American Sign Language (or ASL) was the first way I was able to communicate with my autistic daughter. It gave her a voice and a way of speaking that could be understood both at home and at school. We started with simple signs and the ASL alphabet. Then we started using more signs as needed. Some of the more frequent signs that we still use are: help and please. The same signs that she learned when she was younger, she still uses now. It is still one of the ways that she communicates with me. And one of the ways that she has a voice. For example, if she’s getting dressed in the morning she can ask for help. If she needs to reach something, she can ask for help. Many autistic children learn best with multiple forms of input. That could be: visual, verbal, or tactile. And with ASL? You’re getting that reinforcement on those three levels. Teaching ASL requires repetition, modeling, and input. For some children, you may need to form their hands into the correct hand position first. For some, it may be enough for them to simply see you modeling the sign first. 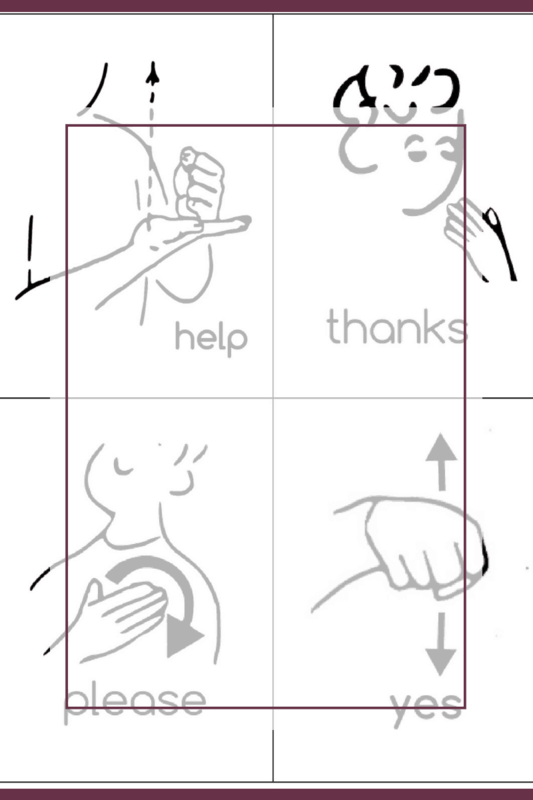 And for some children, they may benefit from having printable ASL flashcards as well. 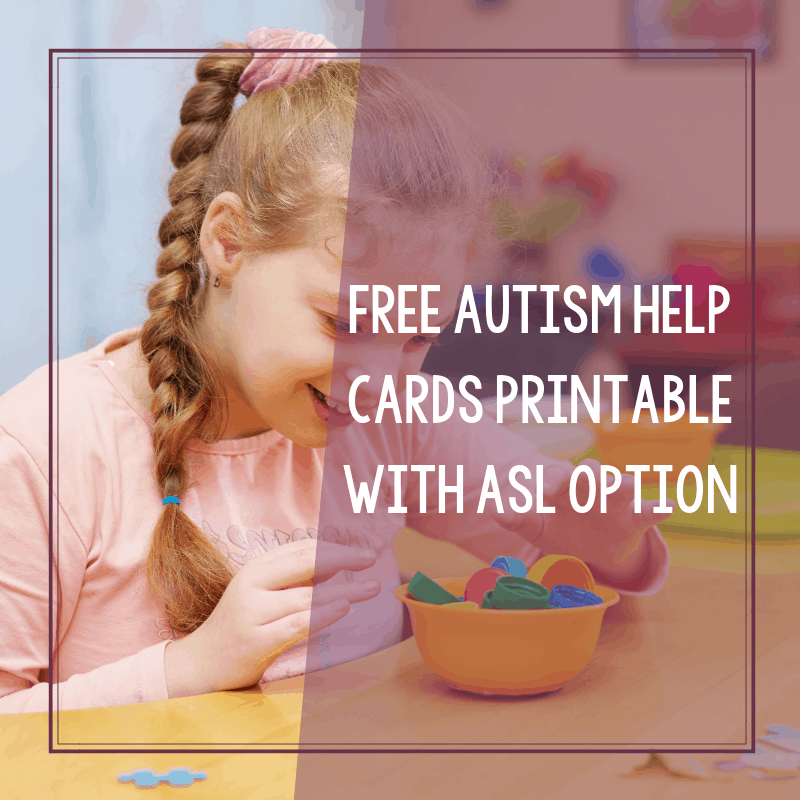 With these printable autism help cards, you are getting two options: printed/text only and ASL. You are also getting both signs for the ASL and fingerspelled.